Their Royal Highnesses Crown Prince Alexander and Crown Princess Katherine visited Pozarevac today, and donated 8 “Stryker” modern beds for intensive care, worth 4,270,000 dinars, to the General Hospital. The beds were provided thanks to the Lifeline Chicago and Lifeline Canada Humanitarian Organizations, whose patron is Crown Princess Katherine. 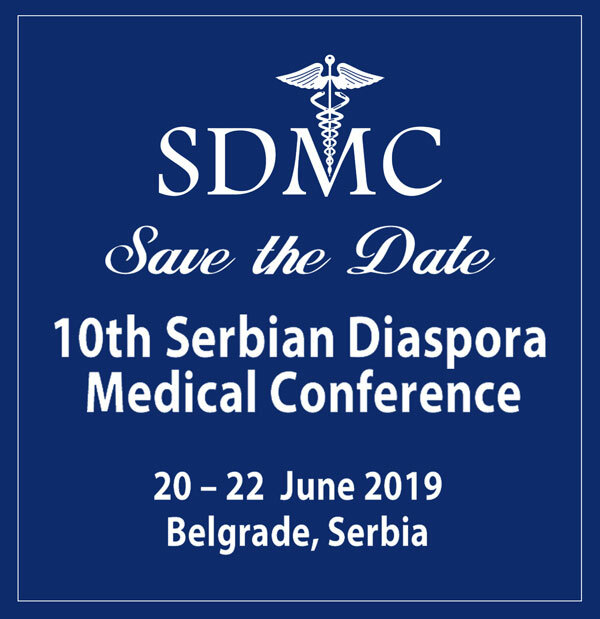 On behalf of the General Hospital the donation was received by the health institution’s general manager Dr Srecko D. Bosic, who thanked the Royal Couple for this valuable donation. 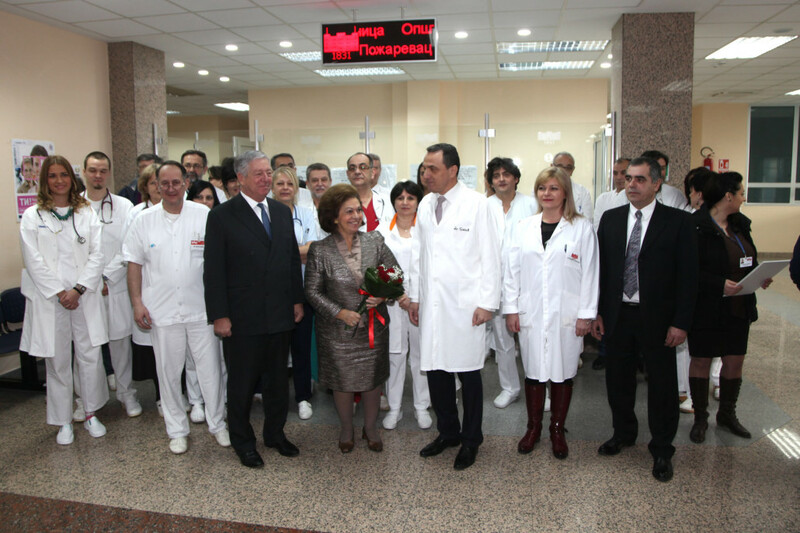 Their Royal Highnesses have so far aided Pozarevac General Hospital several times. In 2002, the hospital received the Royal Couple’s bed sheets and surgical and hygiene supplies. A year later, in 2003 the Crown Prince and Crown Princess gave 24 wheelchairs, 4 air conditioners, 2 gynaecological tables, an ECG machine and hot table. The Royal Couple helped the General Hospital in Pozarevac in 2011, too, when they donated 10 wheelchairs, 3 benches, 7 computers, 16 wooden chairs, a dresser and 5 check-up beds. In 2014, the hospital received infusion racks, surgical gloves and masks. Her Royal Highness Crown Princess Katherine emphasised in her speech her gratitude to Lifeline Chicago and Lifeline Canada Humanitarian Organizations, thanks to whom today’s donation was provided, and to all the friends and associates who for all these years have helped her humanitarian Foundation to continuously support the health institutions across Serbia and the Republic of Srpska. 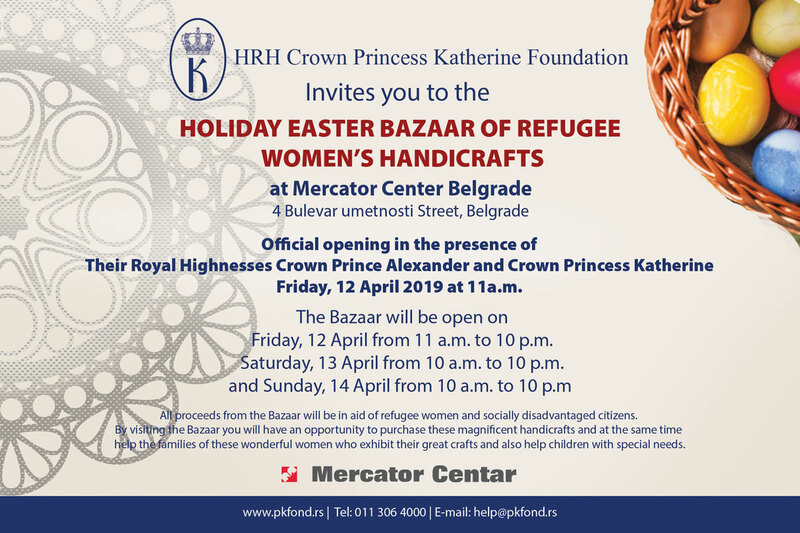 The Crown Princess recalled that the first aid to Pozarevac General Hospital was sent 13 years ago, and announced that she and her associates are continuing to help this hospital, just as they have done until now. Princess donated toys at the children’s department. Princess Katherine has announced that she would donate another 20 hospital beds and one vehicle to this hospital in a near future. After visiting the hospital, the Crown Prince and Crown Princess visited the City Hall where they were welcomed by the Mayor of Pozarevac Mr. Miomir Ilic who, together with his associates, briefed Crown Prince Alexander on the socio-economic problems in Pozarevac. Great number of citizens greeted Their Royal Highnesses in front of the City Hall. The Crown Prince expressed his gratitude for the warm welcome and said he would try to help the city administration in finding potential investors. 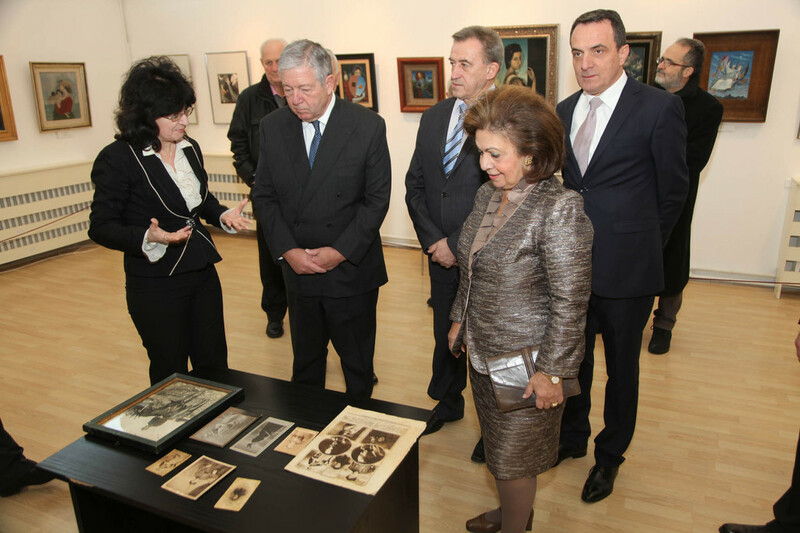 During their stay in Pozarevac, the Royal Couple visited the art gallery dedicated to the work of Milena Pavlovic Barili, who during the Second World War in the USA painted a portrait of the Crown Prince’s father, His Majesty King Peter II. Crown Prince and Crown Princess, accompanied by the Mayor and director of the hospital visited Primary school “King Alexander I” where the Crown Prince laid a wreath in front of the bust of his grandfather. Principal Mr Goran Seger welcomed the guests who enjoyed wonderful programme prepared by pupils and teachers at the school.